Loren Mackenzie has spent much of her life honing her body to meet the physical challenges of being a professional cyclist in the women’s European peloton. She has also refined the control of her mind, using the power of her emotions in competition to become one of the elite cyclists in the world. After an accident at the Philadelphia International Cycling Classic, Loren must rise to the challenge of leading her team as the Women’s World Tour races across Europe, culminating with the opportunity to compete at the World Championships in Richmond, Virgina. When a chance meeting develops into a whirlwind romance, what appears to be the perfect relationship threatens to unravel Loren’s tightly wound life. The microscope of tabloid media attention dredges up fears that her past will be unearthed; tragic secrets she has kept buried, even from those closest to her. Can Loren face the trauma of her past and vanquish the demons within, or will betrayal and obsession ultimately defeat her? Loren rose from her chair and began to gather up the cups and plates they had used as Graham watched her through half-closed eyes. She leaned into the table with a grin. She licked her lips. “I have to admit, I was enjoying what we were doing before we were interrupted.” Loren raised a brow at him. Graham’s mouth twitched, and he took out his mobile to shuffle through his music. As the first notes of the song began, he stood and extended his hand to her. Their breath mixed as his lips hovered over hers. He kissed her gently at first, then with increased fervor as his hands glided over the curves of her body. Her positive response urged him into further exploration. It was several minutes before he realized he had laid her back on the table with one of her legs curled over his hip. Graham reluctantly ended their kiss. “I’m sorry. I-I got a little carried away there,” he said, his breathing unsteady. He helped her return to her feet but couldn’t bring himself to let go. He brushed the back of his fingers against her cheek and kissed her again. Her touch, her smell, the way she felt in his arms; he’d never been so completely at ease with anyone. He pressed his forehead lightly into hers. “Oh, I don’t think so, darling.” He released her from his arms. “Come on.” Loren motioned for him to follow and headed to a shed hidden behind the willow tree. When she opened the doors, the glossy black BMW F800R sport bike glowed in the overhead florescent light. “Ah,” he said, holding open the larger gate next to the shed for her as she pushed the Harley down the gravel path to the street. Graham followed her only to stop short at the sight of her on the machine. “Come on. I’m a professional,” she chuckled and patted the seat behind her. He was grumbling as he donned the helmet, then mounted the seat behind her. His knees were under her arms with his feet on the pegs, and she giggled as she leaned back against him like an easy chair. “Yes, yes, it’s hilarious,” he muttered, making her laugh harder. Loren pushed the ignition and the engine rumbled to life beneath them. After knocking the stand with her heel, she eased out the clutch while rolling the throttle to move off down the street. Graham had been holding her waist loosely at first, but as the Harley took off, the burst of speed had him tighten his arms. He could feel her laughing in his embrace. Loren came to a brief stop at London Road then took a left turn to rumble down the street. Another left turn and they were soon at the car park where she came to a stop next to his car and set the stand again. She was grinning as she took off her helmet as Graham awkwardly dismounted. “I reckon I would have preferred to walk,” he complained as he handed her the helmet where she hooked it to the buckle behind her then swung her leg over the bike. She was smiling as she approached. “Oh, do shut up and kiss me,” Loren laughed. “Gladly,” Graham murmured and staked his claim to her lips. Sara was born in the wee hours of a November night in New York City. When her family moved to a small borough in northwestern New Jersey, she had little choice but to move as well. Self-sufficiency is a tough thing for a toddler. The dichotomy of being the middle child of three, but the only girl, was difficult, as typically no one really pays attention to a middle child. Mostly, Sara spent her time creating fanciful stories in her head when she should have been focused on other things, an issue that continues to this day. Most of these stories have never been shared, let alone completed. This all changed in the spring of 2015, when Sara was encouraged by a friend to expand upon a short story she had accidentally emailed to him. 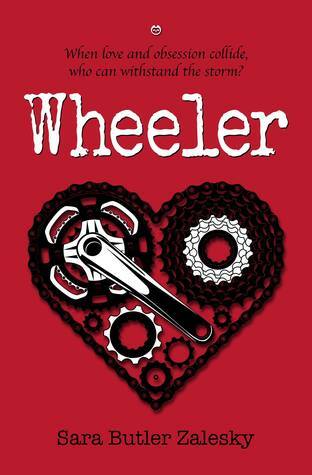 The result is 'Wheeler’, a romantic, women's fiction/sport novel, which combines the author's romantic inclinations and her passion for cycling. Sara currently resides in the suburbs of Philadelphia, PA, with her loving husband and their son. 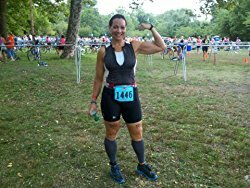 She is a paralegal for a boutique law firm in Chester County, Pa, an avid road cyclist and indoor cycling instructor at a national chain. Follow the author’s blog at sarabutlerzalesky.wordpress.com or on Twitter @sarazalesky. She does a little dance every time someone ‘follows’ her on Twitter. Really.